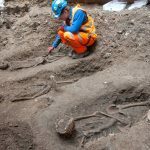 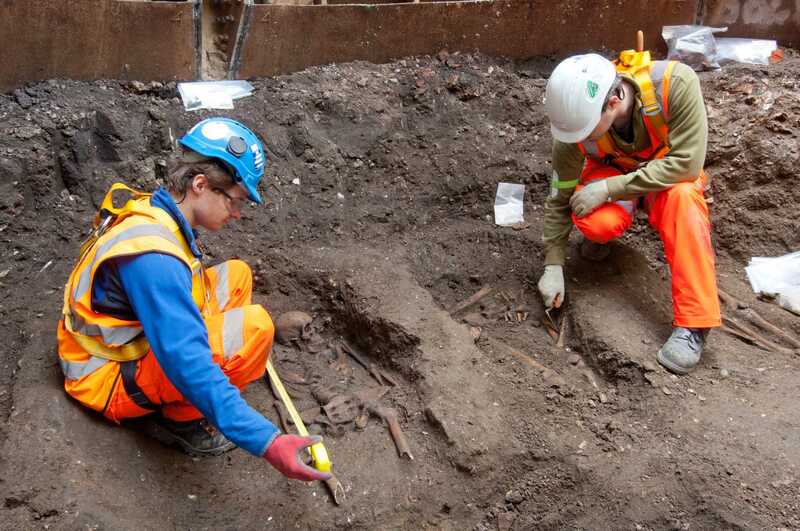 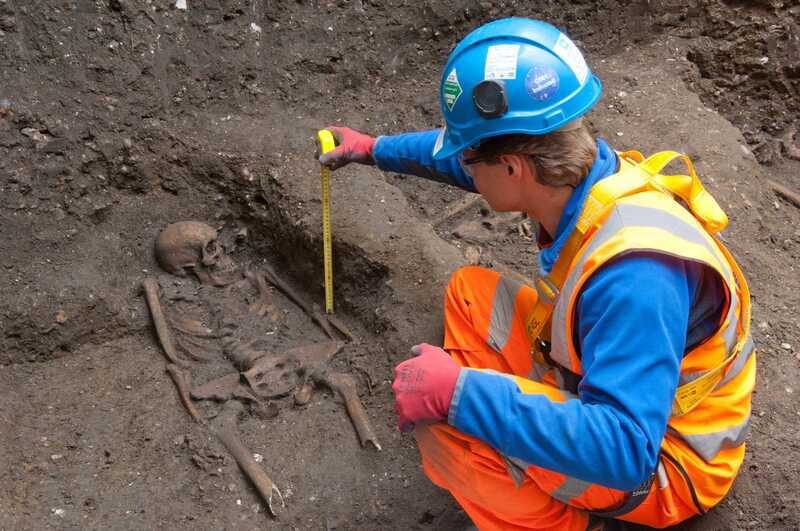 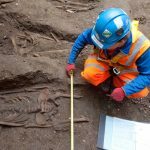 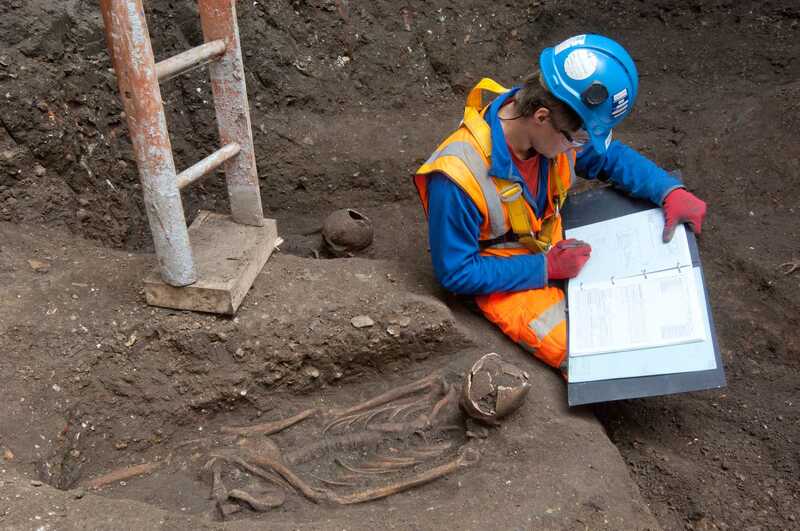 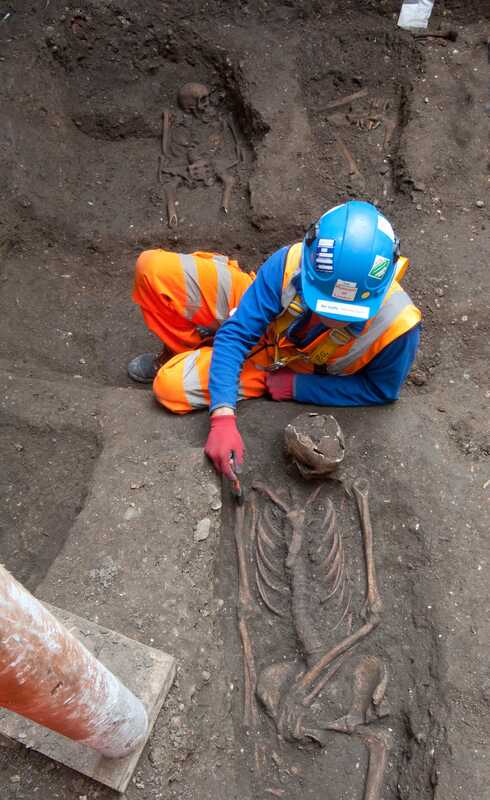 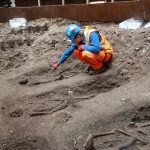 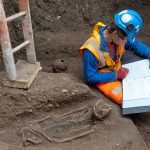 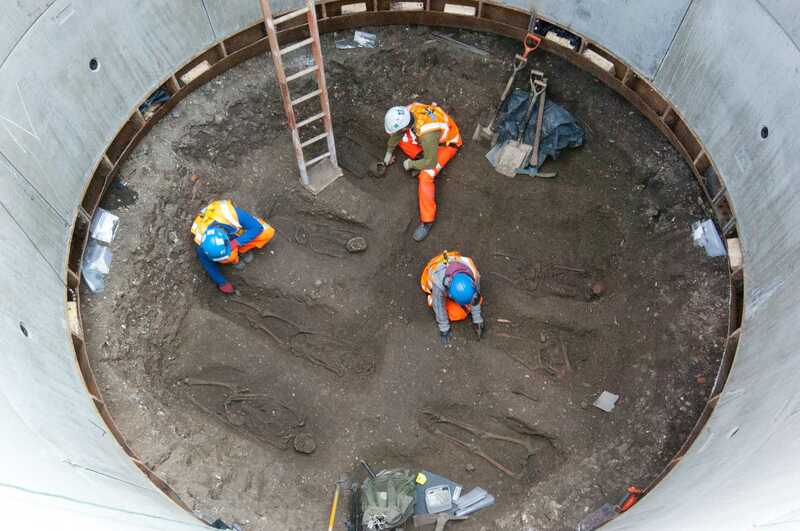 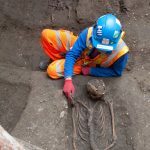 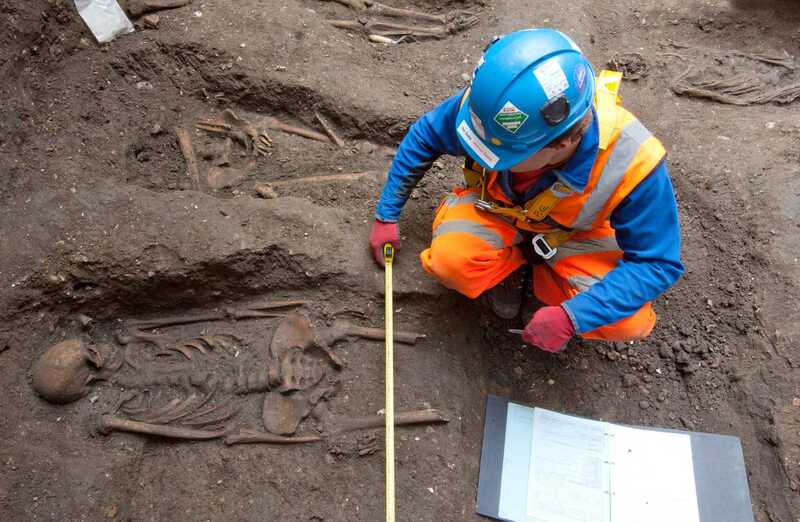 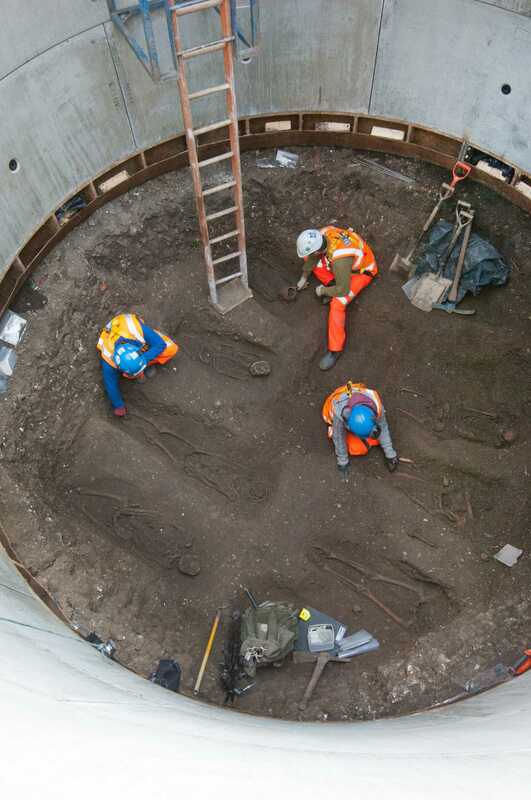 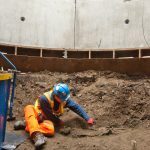 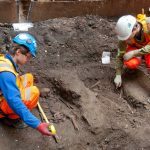 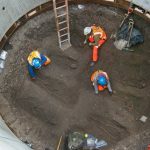 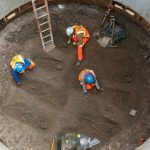 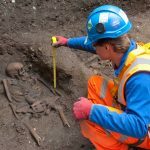 The excavations in Charterhouse Square for a grout shaft disturbed the remains of a cemetery, created in 1348-9 in response to the Black Death. 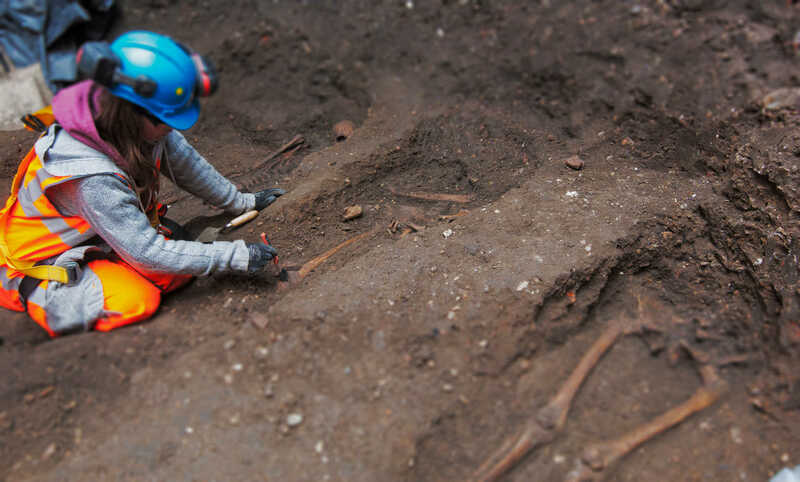 Twenty-five skeletons were found buried in three layers. 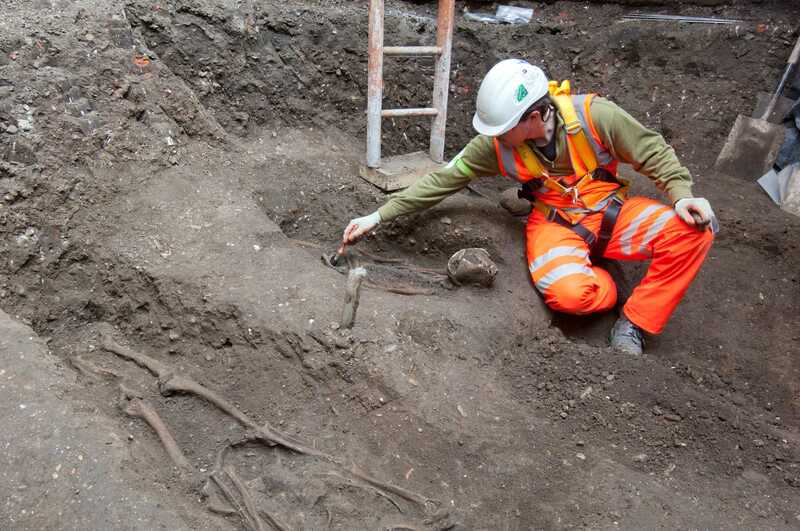 These layers represent three different phases of burial in the 14th and 15th centuries. 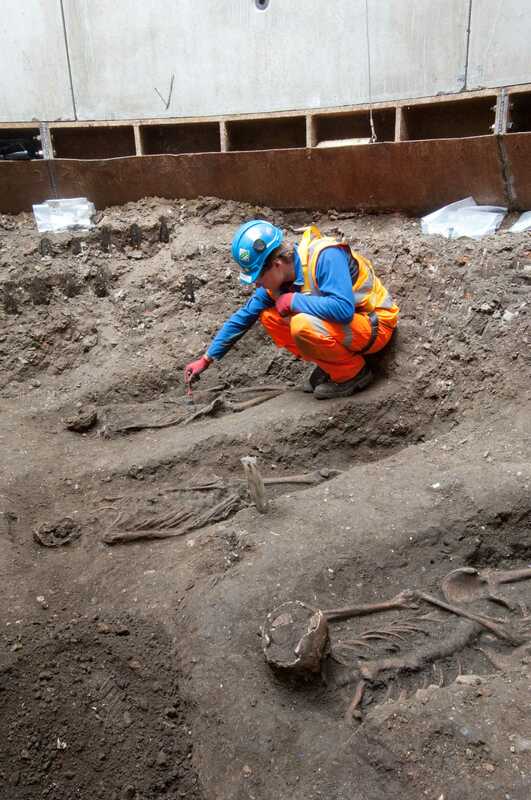 The cemetery began as an emergency Black Death burial ground and Carthusian Street was built as an access route to it. 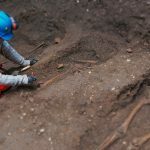 It is not known how many people were buried here in this first phase and estimates vary from over 2,000 to as many as 20,000. 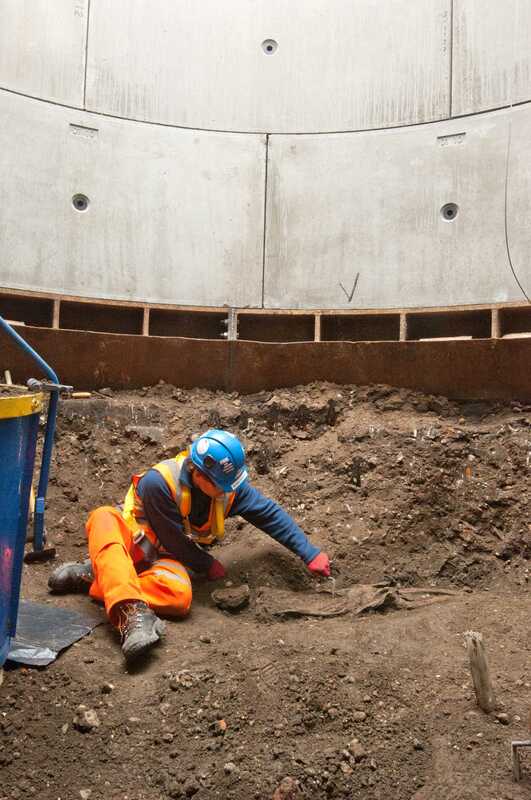 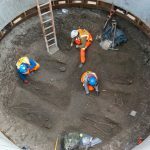 Of these 11 were found in the grout shaft. 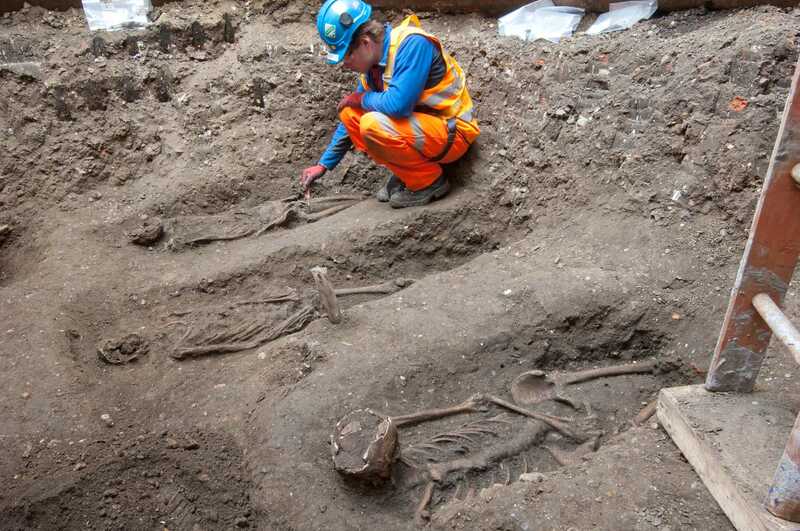 A further phase of burials took place later in the 14th century and then a final phase in the 15th century. 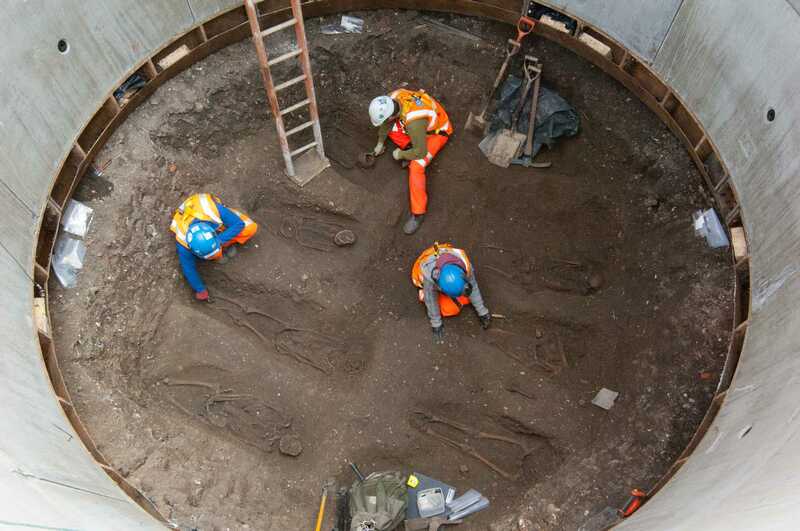 All three phases contained skeletons that tested positive for Yersinia pestis (the plague pathogen).